Hurricanes, mojitos, piña coladas ... the options for how to finish off a bottle of rum (drink it straight from the bottle?) really do seem endless. But let's be honest, you can't (always) drink your dinner. It's time to expand uses for rum beyond the bar menu and to get rum all up in your apps and zerts — and everything in between. Try cooking this full line-up at your next dinner party and color your guests impressed. (Note: these recipes call for a bit of a heavy pour, so make sure you're serving them to the over 21 crowd only!) Still not convinced? We'll just say this: once you start cooking with rum, life gets a lot more... fun. 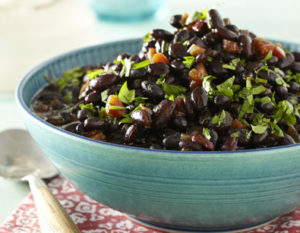 Honey-Rum Baked Black Beans A fresh take on baked beans, this hearty rum-infused started is a guaranteed crowd-pleaser. It may even be filling enough for a main course, but make sure you save room for more! Hot Buttered Rum Chicken Mix up some Old Bay with cayenne, brown sugar, and 1 (or more) cups of rum, and you've got a recipe for drunken chicken that will soon become a weeknight staple on the adult menu. 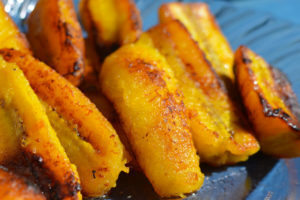 Grilled Plantains Never tried plantains before? Well, get ready to fall in love with your new favorite member of the banana family. Traditionally, these are served simply grilled with butter and sugar, but this version adds rum to create a thick, caramel-y sauce. You'll probably want to make an extra serving of these! 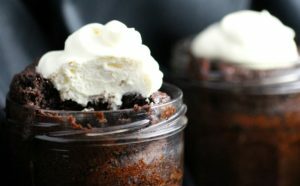 Rum Chocolate Cake [caption id="attachment_3743" align="aligncenter" width="763"] Image Credit: @theculinarychase[/caption] If you saved room for more booze, er, we mean dessert, try this recipe. It calls for using leftover jam or pickle jars to eliminate messy layers. It really is a piece of (rum) cake.